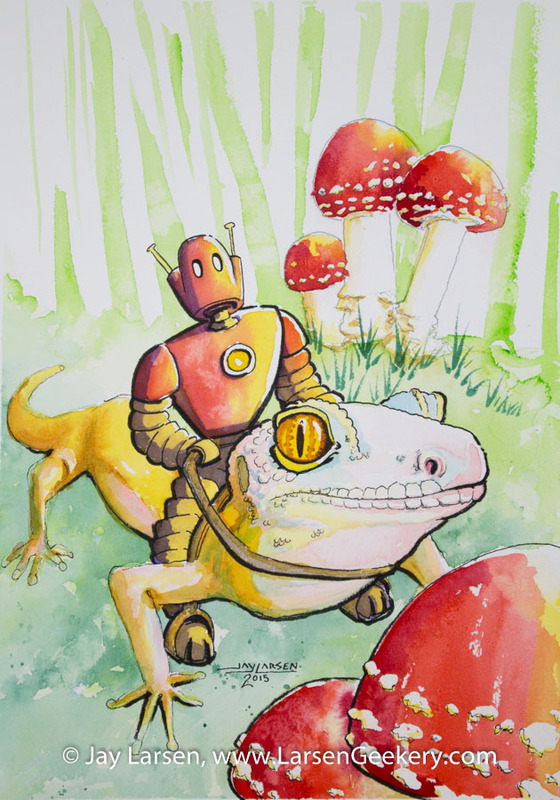 Original Watercolor Painting by Jay Larsen. Birds circle a lone climber on a dramatic stone peak. 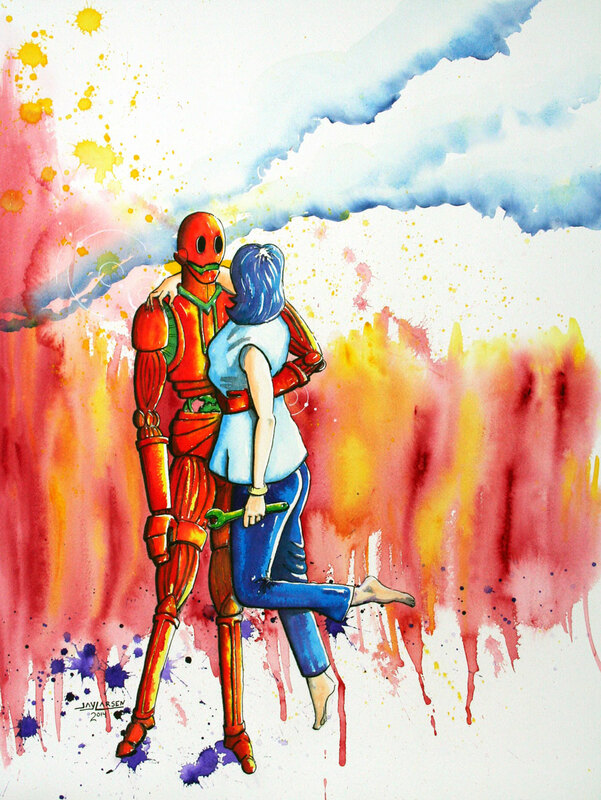 Is the climber human or robot? What do they intend to do once the long dangerous climb is over? 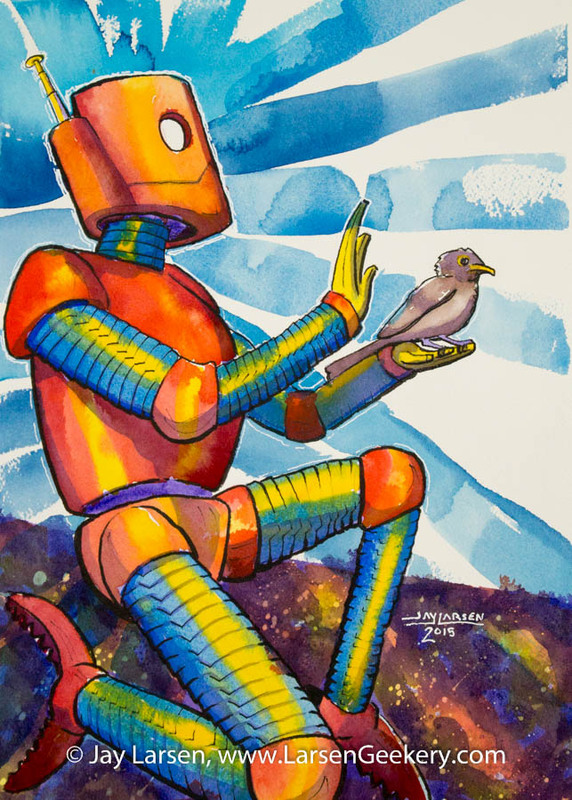 Watercolor and ink on paper 18x24"
Jay Larsen is a watercolor artist with a love of retro-style robots. His work is available for sale here on this website. Copyright 2014-2016 by Jay Larsen, all rights reserved.